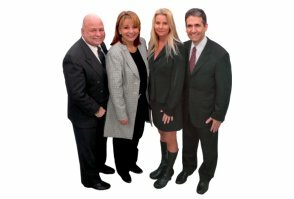 All Insurance Florida is a privately-owned and managed insurance agency located in Tampa, Florida. We have been serving people’s insurance needs since 1982. We specialize in homeowners, auto, and commercial insurance. We represent many specialty lines of insurance such as RV, Boat, Umbrella insurance as well as commercial insurance including general liability, property insurance, bonds, workers compensation, business auto and more. From our convenient Tampa, FL location, we serve clients throughout the Tampa Bay area including Clearwater, St. Petersburg, and Sarasota. We also serve the entire state of Florida. As an independent agent, we offer the best available companies in Florida at competitive prices whether you are a homeowner, business owner, or contractor. At our Insurance Agency in Tampa, Florida, we will make insurance easy, simple, and hassle-free. Get a quote now for Quality Insurance Services. You may reach us at 813-969-2400 or info@allinsuranceflorida.com.